People from all languages have access to the Bible in their language and are transformed by hope. 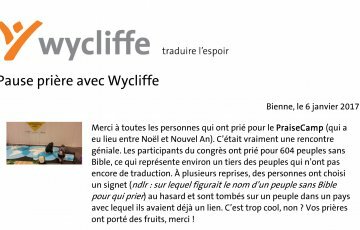 Pray regularly for work of Wycliffe by signing up for our bi-monthly prayer updates (in French or in German). 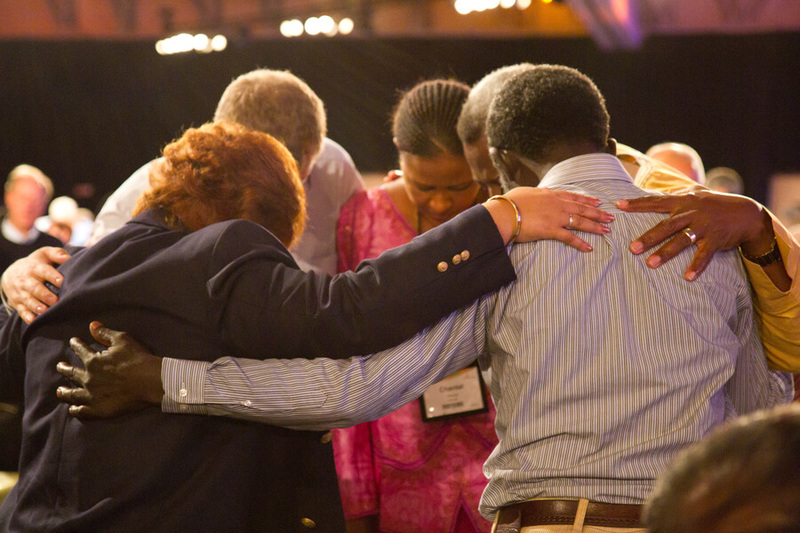 You can also find prayer requests in English on wycliffe.net. Bible trans­la­tion is a de­mand­ing task and needs con­stant prayer sup­port from start to fin­ish. 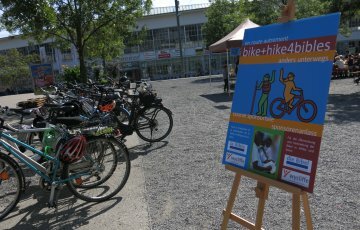 Trans­la­tors have no­ticed, how­ever, that spe­cial dif­fi­cul­ties seem to sur­face when trans­la­tions near com­ple­tion. What fol­lows is a sam­pling of such prob­lems to help you in pray­ing for those in­volved. The list is not hy­po­thet­i­cal. Every item men­tioned has oc­curred to de­lay com­ple­tion of some translation. Pray for the stamina and health of translators, their families and their children. Pray that scheduling of furloughs, administrative duties and other urgent tasks will not interfere with progress. Pray that responsibilities concerning aging parents, education of children and family duties will not be neglected. 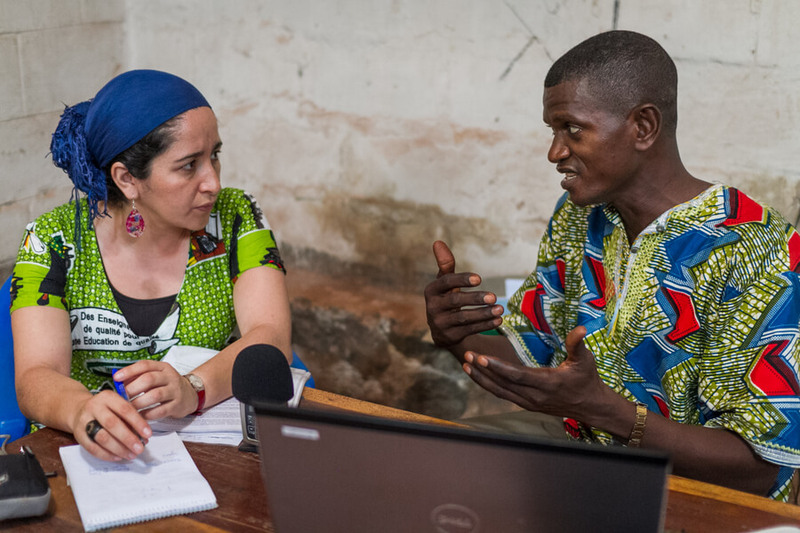 Pray for peace and guidance for translators having to leave the work due to health or family issues, and for local co-workers having to return to work or school. Pray for translations being done in secret. Pray for God to protect the lives of those involved and their families. 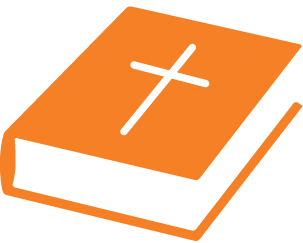 Pray for readers to be available to give community checks on acceptability of the translation. 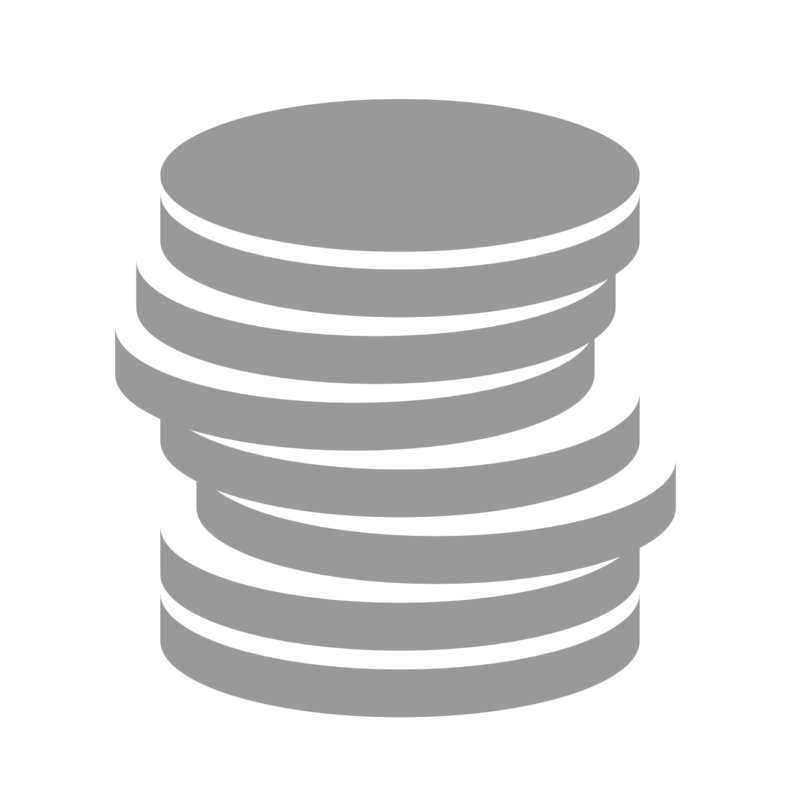 Pray for the funding needed to support the translators, pay the expenses, and publish the materials. 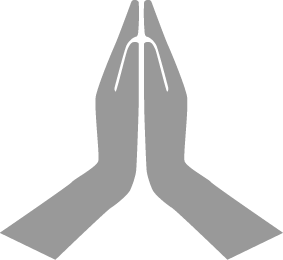 Pray for authorizations and approvals by church authorities and governments where required. 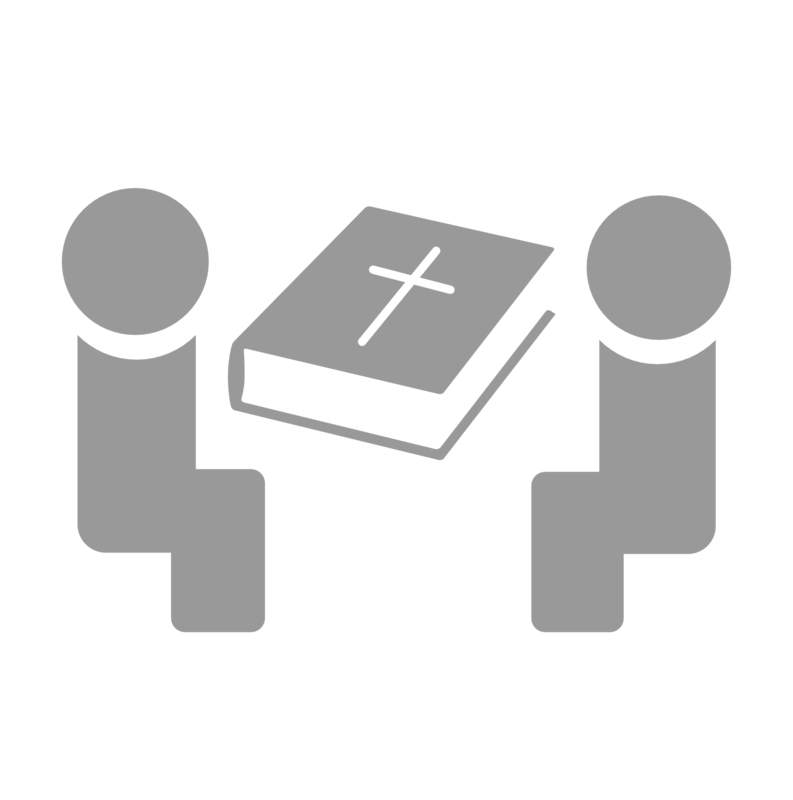 Pray that local churches will be fully involved and reach consensus on wording, writing and printing. Pray that final decisions on use of key biblical terms will be acceptable to all concerned. Pray for reconciliation of alphabets and alternate wordings, due to dialect differences. Pray for availability of trained consultants so that translation checking and final approvals will not be delayed. Pray for literacy workers to promote literacy and so relieve translators to finish the translation. Pray for local enthusiasm for the completion and publication that will urge the translators on. Pray against technical failures of computers, storage disks, copiers, printers and service items. Pray concerning extreme weather conditions, like hurricanes and earthquakes, and the safety of manuscripts. Pray against wars and insurrections that render it impossible to continue the work. Pray for accuracy on the part of typesetters, who are often working with a language they do not understand. Pray for proofreaders, that they may catch and correct errors that would mar the translation. Pray for the mailing and shipping process, that damage or loss in transit, or delays in customs, will not occur. Here are some more ressources to help you pray. In the past, we had limited access to information about events that were happening outside of our own community. But with the invention of the internet, social media and mass communication, we’re now able to know what’s happening — anywhere in the world — from our computer, tablet or phone. How can we use the news to be a light to the world around us? Being so connected to events around the world can begin to feel emotionally exhausting. Fear, grief and even anger can quickly fill our hearts as we see stories of violence, hatred and disaster flash across our screens. As believers, what are we to do when the weight of this sinful world seems to pummel us on all sides? How can we use the news to be a light to the world around us? Praying through the news is one easy habit that we can all benefit from. It allows us to surrender our worries to God while also intentionally lifting up communities that need to experience his healing and love in tangible ways. Whether you’re reading about a hurricane that has ravaged a town, a city that has suffered a mass shooting or a country that is facing high crime levels, stop and pray for those immediately affected by the event. When a significant event happens, the whole local community is impacted as result. 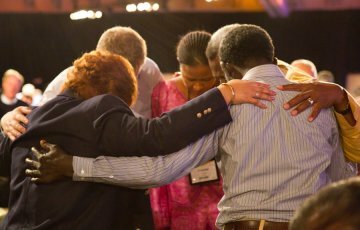 Pray that local churches, schools, businesses and more would rally together and support each other, and ask God to make people sensitive to his hand at work in the midst of it all. Pray for local believers to be Jesus’s hands and feet. We’re all called to be Jesus’s hands and feet to the world. One way we can do that is by reaching out to our own communities in moments of crisis. 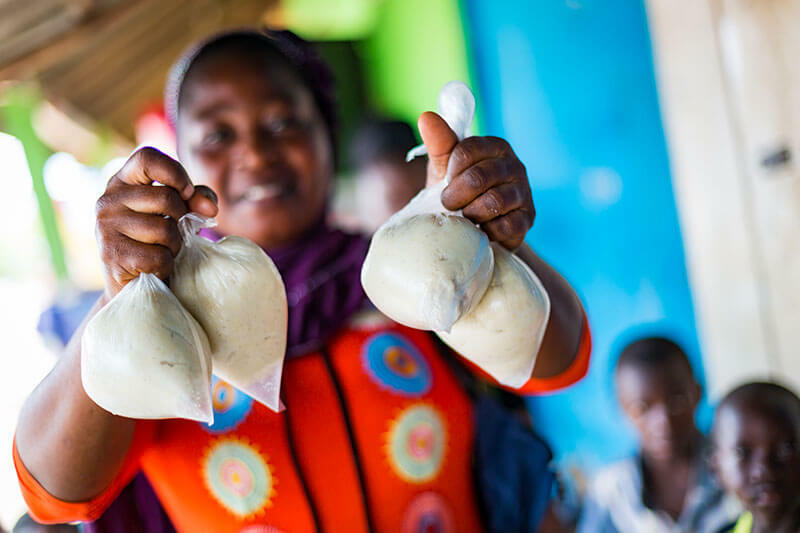 Pray that local believers would be equipped and willing to shine God’s light, helping to bring healing and restoration to their community in the days and weeks following an event. Pray for God to be glorified. The news is full of stories of hurting, broken people and communities. But we serve a loving God who can redeem any situation and ultimately glorify himself. Pray that God would do just that, and that people would be sensitive to his hand at work — whether they have an intimate relationship with him or learn about him for the very first time. Pray for God to make us brave. With access to so much news, we might be tempted to shut out the world’s brokenness and hurt to protect ourselves. But 2 Timothy 1:7 says, “For God has not given us a spirit of fear and timidity, but of power, love, and self-discipline” (NLT). Pray that God would make us brave and would equip us to shine his light to the world around us in the midst of pain and suffering. Jesus himself said, “I have told you all this so that you may have peace in me. Here on earth you will have many trials and sorrows. But take heart, because I have overcome the world” (John 16:33, NLT). Nothing is outside of God’s control — even the most heart-wrenching, unimaginable events that we encounter in the news. As believers in Christ, we have the assurance that God has already overcome the world. It may feel like he’s not in control, but he is. And as we pray for his will to be done and his glory to be made known, we can live with the knowledge that he is victorious and will ultimately bring complete healing to this world. 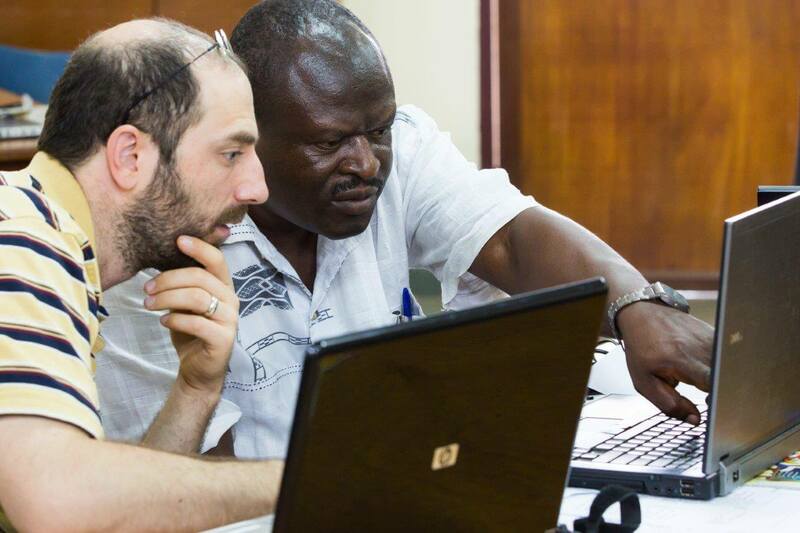 Serve the Bible translation movement with your skills and experience. Find out about job possibilities in French and German or for English go to the Wycliffe UK website. 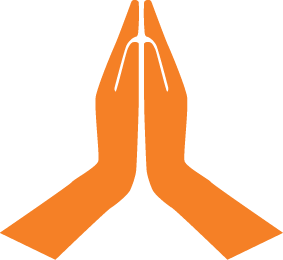 There are many possibilities to get involved from 2 weeks to a year: discover opportunities in French and German, for English visit the Wycliffe UK website. 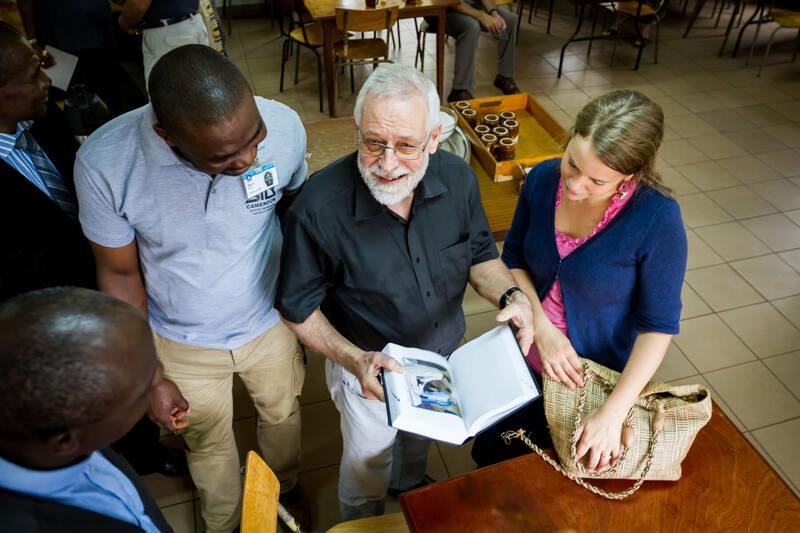 There are hundreds of different projects going on in the Wycliffe world. 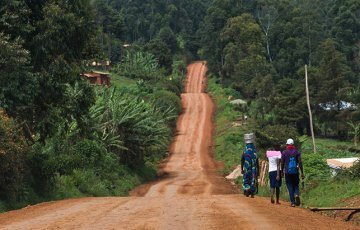 Wycliffe Switzerland supports a dozen of projects, mainly in French-speaking Africa and Indonesia. You will find them on this map, with description in French or German. 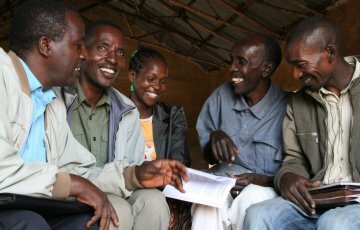 In English, you can find a selection of projects on the website of Wycliffe USA or the Seed Company. 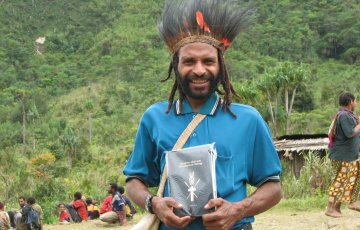 Your support helps bring God’s Word to language groups still waiting. You don’t need to be a translation expert to join the team. In any language project a vast number of different people with different skills are required. Whatever your skills and interests, there is a part for you to play. A simple gathering, like attending a literacy class, can sometimes be a source of unexpected riches for the soul. Dorothy had turned her back on God when her husband died several years ago and she no longer attended church services. 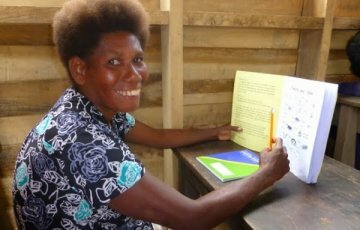 She was one of nine women who attended the initial Owa Bible based literacy class in 2012 held in Gupuna village on Santa Anna island, of whom six were trained to become literacy teachers themselves. These women then held classes, teaching other women and young girls how to read and write in their own language, Owa. The body of Christ prayed for Dorothy that as she attended these Bible based literacy classes she would learn how to read the Owa language Bible and draw near to God again. Three churches were represented in this training class and there the six teachers were trained in how to teach Owa Bible based literacy classes to youth and adults. Dorothy had never been to school before and could not read or write at all but she willingly attended every class. Among the students who participated in the training, Dorothy was very keen to learn to read. She showed the most progress out of all the students who attended the literacy class. As she began to read for the first time in her life, the Word of God led Dorothy to experience the loving and healing power of God. Dorothy shared with a huge smile, “I can read now! When I read my Bible in my own language I understand it and it really speaks straight into my life. Now I have given my life to God and I go to church”. Dorothy said reading her Owa language Bible every night helps her learn many things that she never knew was in God’s Word. It led her into amazing new discoveries about God and the things that He can do in the lives of those who believe in Him. The truth from God’s Word is a treasure that she can now pass on to other Owa speakers. 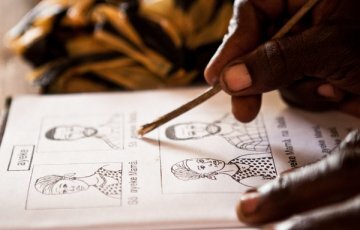 Literacy initiatives may vary from local programs, such as community or church-based literacy efforts, to NGO-sponsored programs or national government campaigns. Programs may be limited in scope or ted in scope or have broader holistic goals which may include health and community development objectives. Programs must also take into account that multiple languages are spoken in most communities today. teach people to read and write in their own language. The goal is to build locally sustainable literacy programs to equip minority language communities to be able to use and preserve their language, their history and their wisdom. 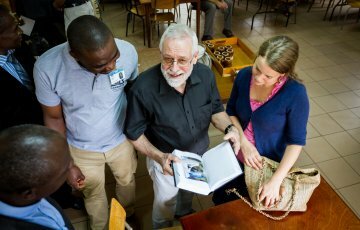 Translator Lee Bramlett was confident that God had left His mark on the Hdi culture somewhere, but though he searched, he could not find it. Where was the footprint of God in the history or daily life of these Cameroonian people? What clue had He planted to let the Hdi know who He is and how He wants to relate to them? Then one night in a dream, God prompted Lee to look again at the Hdi word for love. Lee and his wife, Tammi, had learned that verbs in Hdi consistently end in one of three vowels. 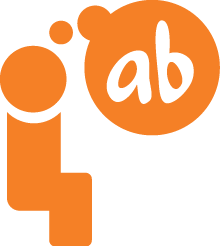 For almost every verb, they could find forms ending in i, a, and u. But when it came to the word for love, they could only find i and a. Why no u? “Yes,” they said. That would mean that the wife had been loved but the love was gone. “Could you ‘dva’ your wife?” Lee asked. “Yes,” they said. That kind of love depended on the wife’s actions. She would be loved as long as she remained faithful and cared for her husband well. “Could you ‘dvu’ your wife?” Lee asked. Everyone laughed. There was complete silence for three or four minutes; then tears started to trickle down the weathered faces of these elderly men. Finally they responded. God had encoded the story of His unconditional love right into their language. For centuries, the little word was there—unused but available, grammatically correct and quite understandable. When the word was finally spoken, it called into question their entire belief system. If God was like that, and not a mean and scary spirit, did they need the spirits of the ancestors to intercede for them? Did they need sorcery to relate to the spirits? Many decided the answer was no, and the number of Christ-followers quickly grew from a few hundred to several thousand. The New Testament in Hdi is ready to be printed now, and twenty-nine thousand speakers will soon be able to feel the impact of passages like Ephesians 5:25, “Husbands, ‘dvu’ your wives, just as Christ ‘dvu’-d the church.…” I invite you to pray for them as they absorb and seek to model the amazing, unconditional love they have received. As God’s Word is translated around the world, people are gaining access to this great love story about how God ‘dvu’-d us enough to sacrifice his unique Son for us, so that our relationship with Him can be ordered and oriented correctly. The cross changes everything! Someday, the last word of the last bit of Scripture for the last community will be done, and everyone will be able to understand the story of God’s unconditional love. The process of translating the Bible for people who have never had it in their own language requires an understanding of their way of life. Only through that understanding can we properly communicate the complex, powerful concepts found in the Bible. All of these factors help explain why Bible translation takes so much time, dedication and personal investment. And in the end, nothing can replace that personal connection. The Scriptures have been translated into thousands of the world’s languages. 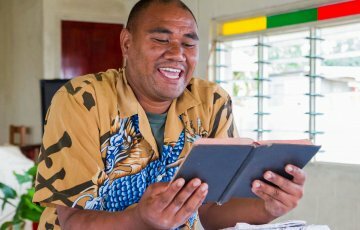 In many cases, the people speaking those languages have also been taught to read in their mother tongue – with the result, technically, that they can read the Bible in their own language. But merely reading is not enough. A person needs to know how to use the Bible to catalyze life changes, much as one needs to know the use of a tool in a workshop in order to turn out a desired product. 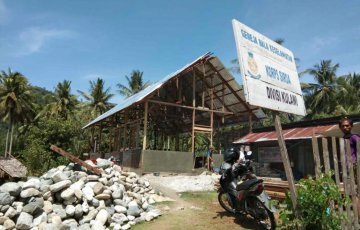 This is where the ministry of Scripture Use, in connection with Bible translation, is so important. Scripture use is more than merely reading the Bible with comprehension. There are so many ways in which the Scripture can and should be applied to life – in all areas of life. Scripture use is about unlocking possibilities for people. It is about taking many different approaches employing many different media with many different partners: through chronological Bible storying, dramatized audio recordings and film. It is about applying the truths and principles of Scripture to real life situations: healing the trauma of war; dealing with HIV/AIDS, health, relationships, personal and church growth. It is about creativity: music and drama used for worship in appropriate cultural forms. ‘I’m so happy!’ Sam exclaimed, with a huge smile on his face. ‘The way you showed us to write songs worked! I went to bed early last night, since we had no electricity, and so I got up early this morning. I did what you said. I read Psalm 42.4-6, and translated it into my language. The workshop was a Scripture song-writing workshop, and the participants were from a people group living in the mountains of Central Asia. Sam and his people had no access to any of the Bible in their own language and live in a region that is very difficult to get to. Sam is a well-known local musician who used to sing in a popular local folkgroup. During this Scripture song-writing workshop, the participants wrote and recorded, in three different local genres, ‘mountain-style’ Scripture songs – from Mark 10.13-16 (Jesus blesses the children), Psalm 23 (The Lord is my Shepherd) and Genesis 22 (Abraham and Isaac). These are the very first Scripture-based products these people are receiving in their own language. A draft recording was made of each of the new songs in order to preserve them and to assist in recording them later in a studio, with skilled local instrumentalists. In the three months following the workshop Sam went on to write a total of 13 new Scripture-based songs. Along with friends he used to perform with, some of the language community’s best musicians, he recorded them in a studio. These beautiful songs were very well received. 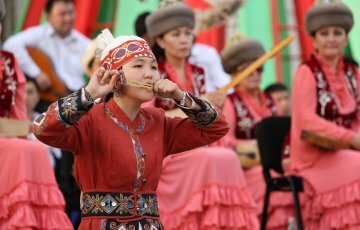 Sam clearly understood how to make new songs in the style of his people, so he was invited to assist in leading a song-creation workshop in a neighboring Central Asian country. What he had learnt he passed on to others, helping musicians from three different language communities write their own brand new Scripture-based songs. 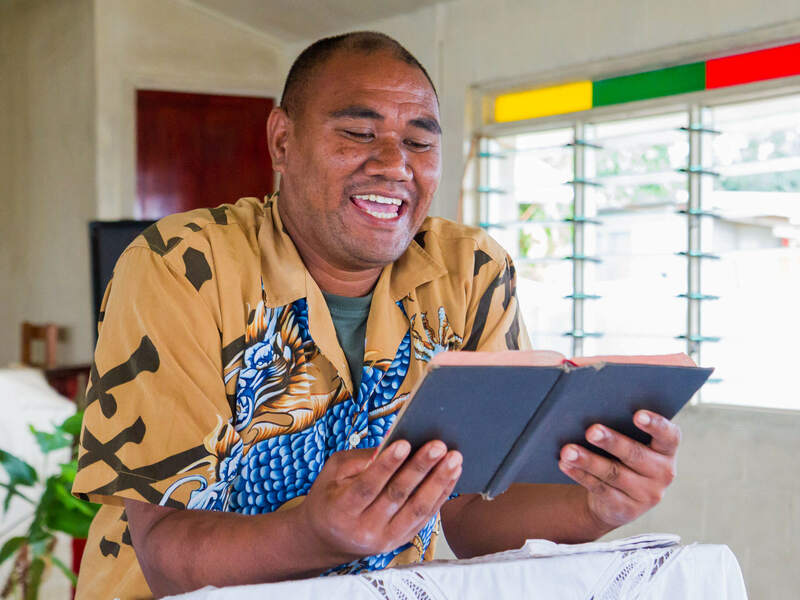 When people finally get the Bible in their own language, lives often change in amazing ways. People are transformed as they are led to Jesus Christ and a right relationship with God. 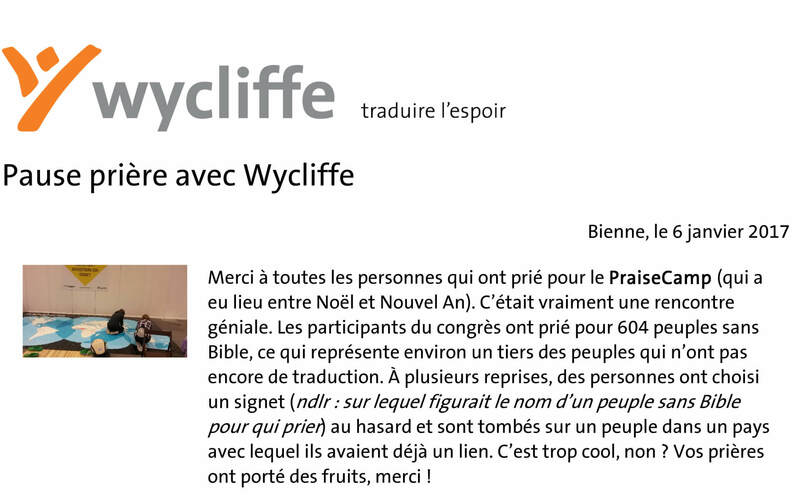 That’s why Wycliffe exists — to help speakers of all languages get the Bible for themselves. Imagine not being able to read the instructions on your child’s medicine bottle, legal documents for your property, receipts for your business transactions. Imagine not being able to read a letter from your best friend. Imagine not being able to read the Bible.